Heinz “Wimmersal” Sachsenberg was born on 12 July 1922 at Dessau in Sachsen-Anhalt.  His uncle, Gotthard Sachsenberg, was a fighter pilot in World War 1 recording 31 victories and receiving the Pour-le-Merite. Following flying training, Sachsenberg was posted to JG 52, based in the southern sector of the Eastern Front, in the autumn of 1942. 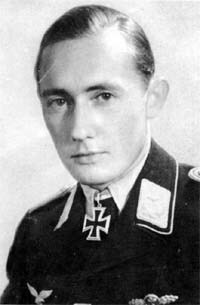 Feldwebel Sachsenberg was assigned to 6./JG 52. He achieved his first victory on 21 April 1943, when he shot down a Russian Il-2 Sturmovik ground-attack aircraft. By the end of the 1943, he had 52 confirmed victories, including four victories on 26 July to record his 18th through 21st victories, and a further four on 4 August (23-26). In January 1944, Sachsenberg’s Bf 109 G-6 “Yellow 8” was badly damaged by a Russian fighter and he had to crash-land back at his airfield. He just managed to scramble clear of his machine before it exploded. He was recommended for the award of the Ritterkreuz at the end of March after 76 victories but was destined not to receive the award until he had achieved 101 victories. On 7 May, he shot down six Russian aircraft (77-82). He recorded five victories on 8 June (97-101). On 9 June 1944 Fahnenjunker-Feldwebel Sachsenberg was awarded the Ritterkreuz for 101 victories. On 23 August 1944, he was shot down in Bf 109 G-6 (W.Nr. 166 233) “Yellow 1” and badly injured over Romania by USAAF P-51 fighters. On 3 March 1945, he had raised his victory total to 103 victories when he shot down P-51 over Hungary. On 16 April Sachsenberg shot down a P-39 for his 104th and last victory. Four members of Platzschutzstaffel - from left to right: Lt. Karl-Heinz Hofmann, Hptm. 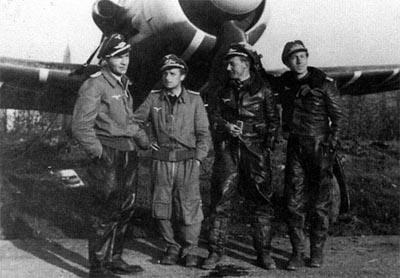 Klaus Faber (2 v.), Lt. Heinz Sachsenberg and Hptm. Waldemar Wübke (15~ v.). Photo was taken at Ainring on 1 May 1945. “Wimmersal” Sachsenberg flew 520 missions in recording 104 aerial victories. All but one of his victories were recorded on the Eastern Front.